Golf Driving Tips: Hit The Ball Straighter! 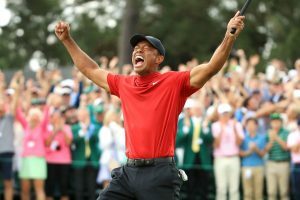 “Let the Big Dog Eat.” “Grip it and Rip It.” “Go Big Or Go Home.” Everyone wants to hit the ball farther, but distance is no more important than direction. 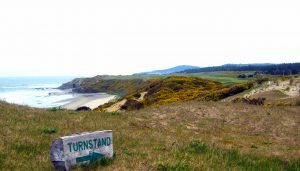 Golf driving tips are plentiful, but to score better you have to drive the ball in the fairway. 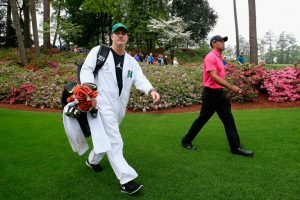 So this article is about how you can drive the ball straighter. The biggest determinate in direction is the club FACE. To hit a straight drive the face must be square to the path, and ideally the target, at impact. The biggest influence on the club face is the grip. Photo 1 illustrates a neutral grip, which is the middle-of-the-road position. Note that two knuckles are visible on the left hand and both “Vs,” the crease between thumb and forefinger on both hands, are running parallel to one another and pointing toward the rear (right for righties) shoulder. Some other terms you may be familiar with are “strong” grip or “weak” grip. A strong grip is when the Vs point more to the right, outside of the shoulder. A weak grip is when the Vs are pointing straight up at your nose or, worse still, at the left shoulder. Strong or weak does not and should not refer to the grip pressure. Keep the grip pressure light — the fingers are holding on, gently squeezing, but the forearms should be relaxed with a light pressure. With this neutral grip you increase your chances of delivering the face square, and a straight drive, through impact. The second influence on straight drives is alignment. In Photo 2 the target line is the saguaro cactus circled in the middle of picture. Your body — meaning feet, knees, hips, arms, chest and shoulders — should all be aligned “parallel left,” or square to the target. A common mistake, even among folks who read a lot of golf driving tips, is to close your stance, thinking it will help you draw the ball. Unfortunately this cliché, handed down from the Scottish pros one hundred years ago, gets misinterpreted and the aim becomes too much to the right. Aim for a square stance, parallel left of the target. Photo 2 also illustrates a more important part of the stance: the chest and shoulder alignment, which has a huge influence over your swing path. I’m making sure my upper body is in alignment by holding my driver up to my shoulders so they’re square. I guarantee that all you slicers of the ball with an over the top swing are lining up with your shoulders and arms open, or way left of the target. This doesn’t fix a slice, it exaggerates it! 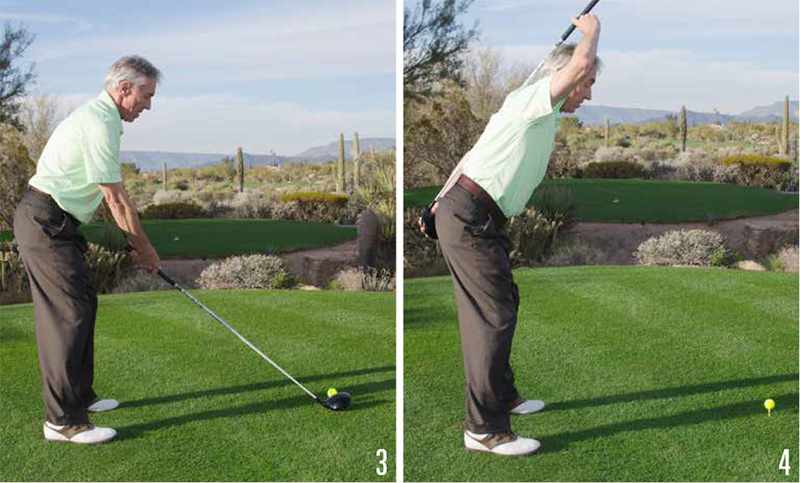 Big note here: aim the club head first, the step into the ball, aligning your body parallel square, as in Photo 3. After grip and aim, the next step is posture. Photo 4 shows the importance of having a straight back/spine. You’ve heard of “turn your shoulders,” a statement I don’t agree with or teach, but I know what it means — rotate your torso. This is only possible from the correct posture which is chin up, back straight, tipped over at the hips, with legs slightly flexed. If you have a good posture and a better rotation both back and through you create a swing on an arc, which also helps the face square up to a swing path on an inside-to-inside path. This swing path will hit the ball straighter and distance will follow close on its heels. Now let’s look at the top of the backswing. Setting the club in the correct plane and direction isn’t mandatory (look at the different backswings out on the PGA and LPGA Tours), but it makes it a lot easier to swing the club down and through in the correct plane and direction. Photo 5 shows the club over the right shoulder and parallel to the target line. If you get access to a video camera (any smart phone will work) it is worth checking out where your backswing is at the top. What we think or feel the swing is, is not or is rarely real. 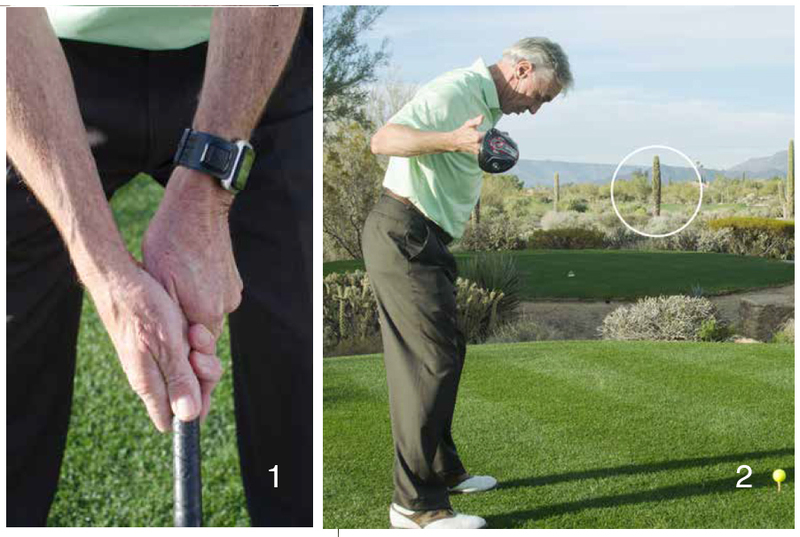 Photo 6 shows the importance of the correct grip, which helps me set the club face square to the plane. Among golf driving tips, this is among the most crucial: Note the line drawn through the club face — it is parallel to a second line drawn through my left forearm. Also, the amount of “cup” in my left wrists is the same as it was in the grip picture at address. This means I have not opened or closed the face — no manipulation of the face in the backswing. Again, this is a key factor in driving the ball straighter. And now we address the most important part of the golf swing: IMPACT. Photo 7 illustrates where all you slicers are. The face is wide open. Even if you rotate through, transfer your weight, clear your left hip, etc., if the face is open the ball will slice — ALWAYS. 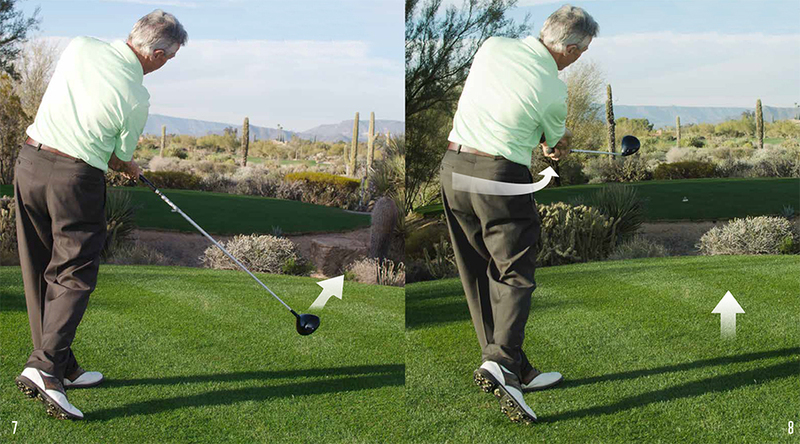 Photo 8 shows a better release of the body and the club. Note how the forearms have rotated on an arc. The club is also swinging back around on an arc showing how the face has closed to the target yet square to the arc it is swinging on. The body is fully released also, posture maintained, hips clear, right side turning through, weight off the right foot. In summary, to drive the ball straighter work on the five above points — grip, aim, stance, posture, setting the club at the top and full release, through impact. If you are aiming square with a neutral grip, you are off to a good start and a much greater chance of driving the ball into the fairway.